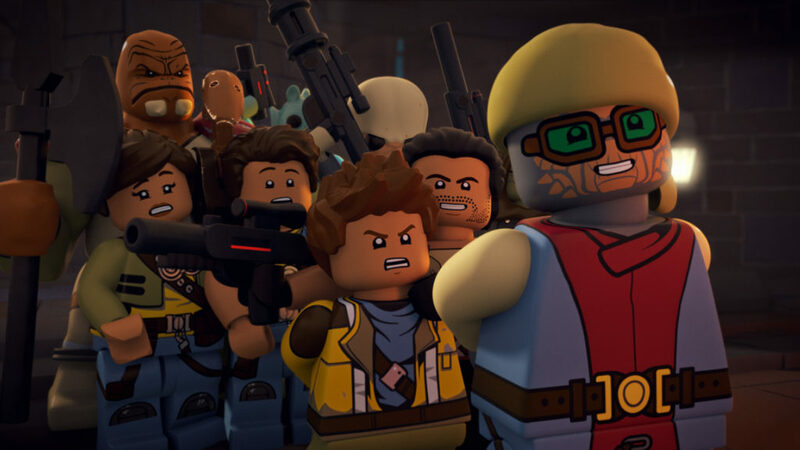 Blocks magazine recently ran a huge feature on LEGO Star Wars: The Freemaker Adventures. So huge, in fact, that the issue couldn’t fit everything. StarWars.com is happy to pick up the proverbial blocks and present these previously unseen images and interview insights. 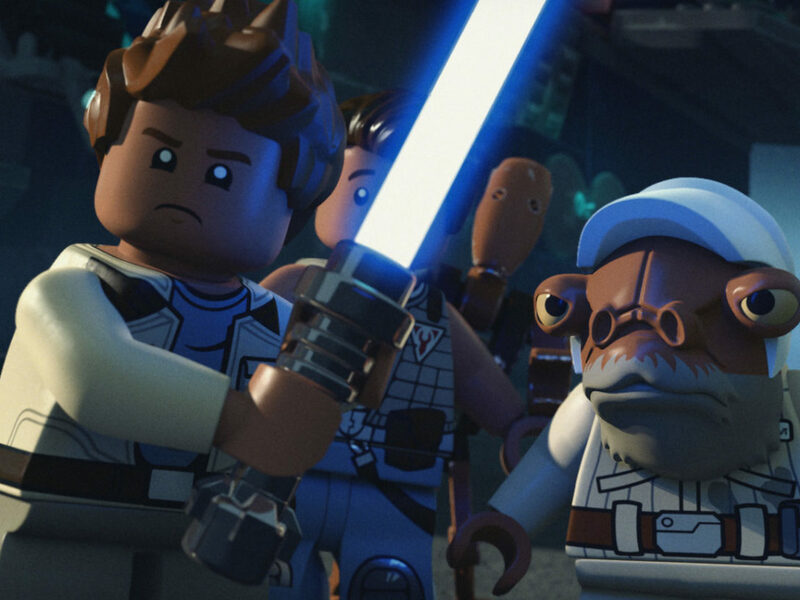 If you haven’t seen any of LEGO Star Wars: The Freemaker Adventures yet, then you’re missing out on a unique animated spin on that galaxy far, far away. 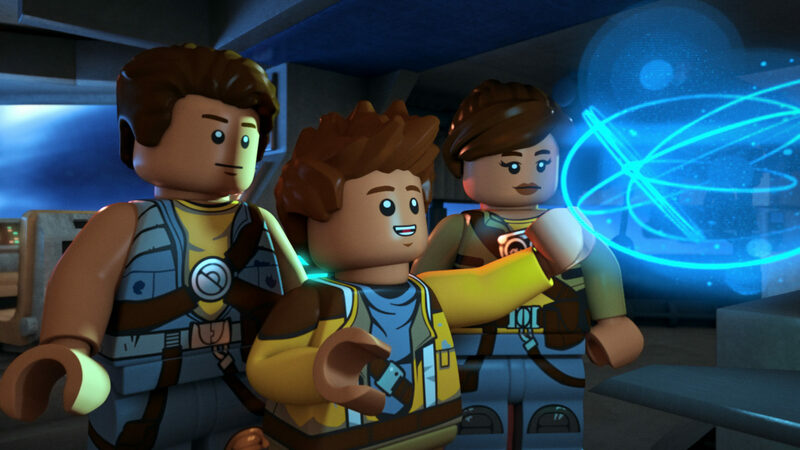 Zander, Kordi, and Rowan Freemaker are scavenging leftover parts across the galaxy — until they get pulled into a much bigger adventure. 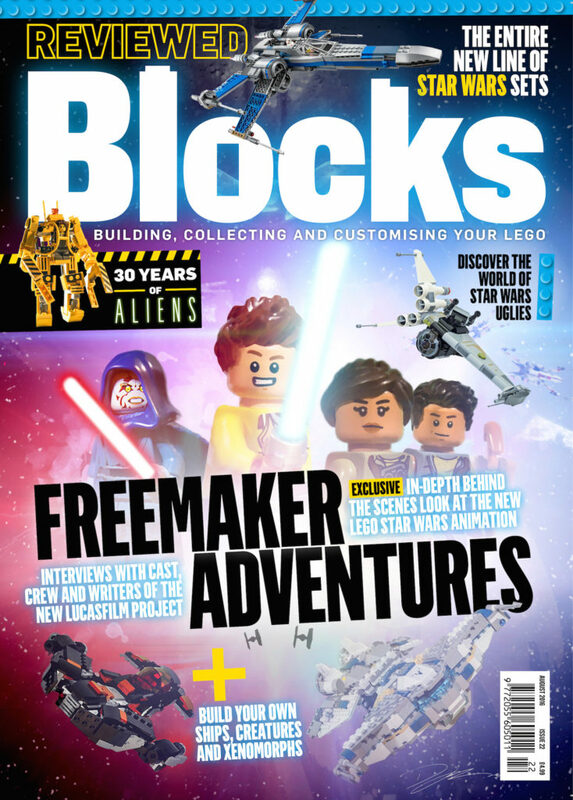 As deputy editor of Blocks, the monthly magazine all about LEGO, I had the pleasure of speaking to the key creatives behind The Freemaker Adventures. It was all part of our exclusive, in-depth look behind the scenes of the new series. 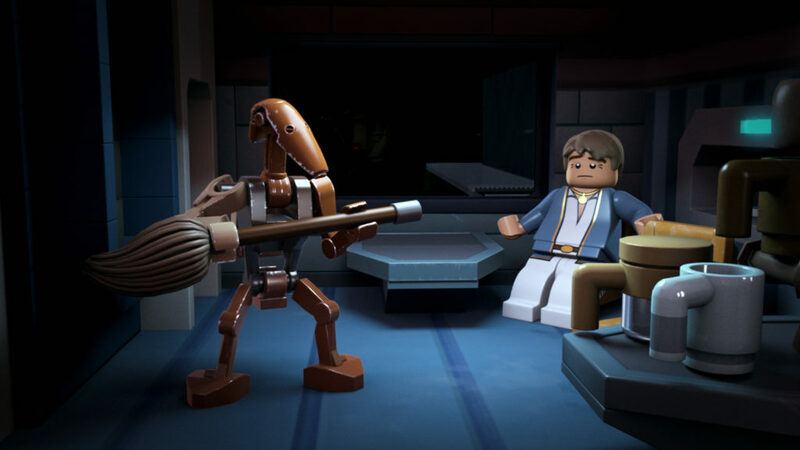 Bill Motz and Bob Roth, the executive producers of LEGO Star Wars: The Freemaker Adventures, got their break in animation scripting Disney animated TV such as Darkwing Duck and Aladdin. Since then, they have worked on many famous licenses, but as huge Star Wars fans they have now landed their dream job. 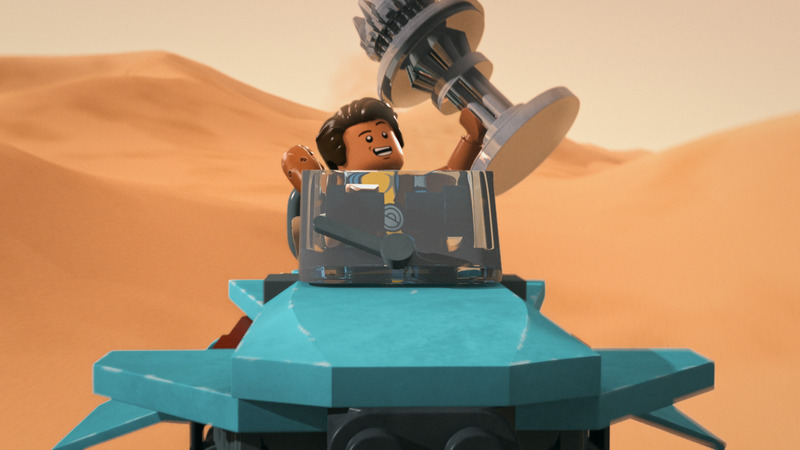 Blocks: As Star Wars fans yourselves, did you have any trepidation about taking on the show? Bob Roth: — the last thing we want to do is mess them up. Bill Motz: You risk whenever you get involved with an endeavor like this of eventually affecting your affection for it. There was actually a little bit of hesitation at one point with us chasing it. Bob Roth: What if our life becomes Star Wars and we come to hate our life? What if our life becomes LEGO and we come to hate our life? Bill Motz: That would be a really disappointing thing. But we decided that not to do something based on fear is a terrible way to live. Taking a risk, to say that this is a dream project that we’ve kind of hungered for our whole careers…if we don’t take this shot at this we’ll always regret it. Bob Roth: Once we had the very first notion of the show, at that point we were driven. 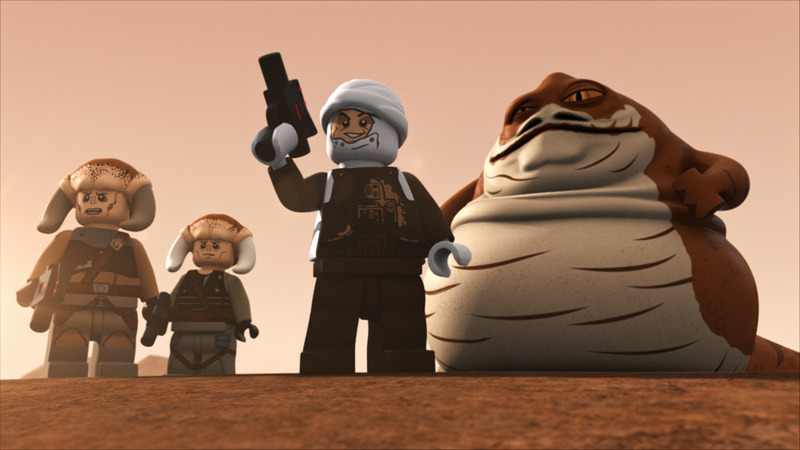 It wasn’t just the notion of it’s LEGO and it’s Star Wars, so it’s fun and we’d be really good for that. We had to do it because we know who the characters are, we know what the story is and it became a passion. Where did the character of Roger, the anxiety prone battle droid, come from? Bob Roth: One of the beautiful things about working with a partner is when you get on a roll, ideas just sort of build on themselves. You don’t know where they come from or who came up with them, and it feels great. Let’s say that the maker gave us Roger. Bill Motz: We definitely wanted to include the prequel world. Even though our show takes place between The Empire Strikes Back and Return of the Jedi, we wanted to have a more consistent reminder of the entire saga. Droids are very much a part of the Star Wars universe but we didn’t want it to be an astromech or a protocol droid. Bob Roth: There are some astromech and protocol droids who are kind of important in Star Wars. We wanted to find some new characters, where we thought we could add some fun and levity to the show. Matthew Wood is reprising the role of the battle droids as Roger and he’s just been a delight. You have an ensemble cast voicing the Freemaker family — how did they take to their roles? Bob Roth: Nicolas Cantu plays Rowan Freemaker, and he is such a natural. There is nothing we’ve thrown at this kid that he hasn’t been able to do. He improvs comedy, ad libs, hits the emotional beats and it’s amazing to watch him perform. Then we have Vanessa Lengies who is just a delight to have in the booth, she has such a unique voice that is so charming. She can bring the hard-edged Kordi when we need it, but she can also bring a soft side too. Bill Motz: Part of her character is that she’s a quick-witted salesperson. Bob Roth: She doesn’t have the Jedi mind trick, she just has regular person mind trick. So it’s fun to write for Vanessa and even more to watch her perform where she starts fast-talking with some Imperial stooge. We have Eugene Byrd as Zander. He is fantastic and his performance has informed the way we write the character. Bill Motz: We had a line written for him one day, “Zander Freemaker, superstar pilot guy” — his performance of that was so funny and so in character that now it’s become his signature. Bob Roth: Another thing about the cast is that they’ve become a family and it’s really amazing to watch. We record with an ensemble, then sometimes there are pick ups we need to do for other episodes — scenes have been rewritten and not everybody needs to stay around for the entire time. But there have been times when both Vanessa and Eugene have stuck around just to support their onscreen little brother. Bill Motz: Matthew Wood, too. There’s an actual sibling bond that is kind of amazing, and I think comes across in the performance. They actually live out their roles a little. The balance between the action, adventure, and comedic elements is so important to finding the Star Wars “feel.” How careful were you balancing those elements? Bob Roth: I think it’s a 50-50 mix, again the story telling of Star Wars is so deeply ingrained in us that I think some of it happened without us being conscious of it, but then there’s also very much an effort to make sure it fits into that universe. Bill Motz: It is a balancing act. Often we’re getting notes saying, “we need a little more comedy here” or “we need a little more jeopardy here,” that kind of thing. They’re LEGO minifigures so you’re not really worried that they’re going to die per se, but that we wanted the jeopardy to feel real. 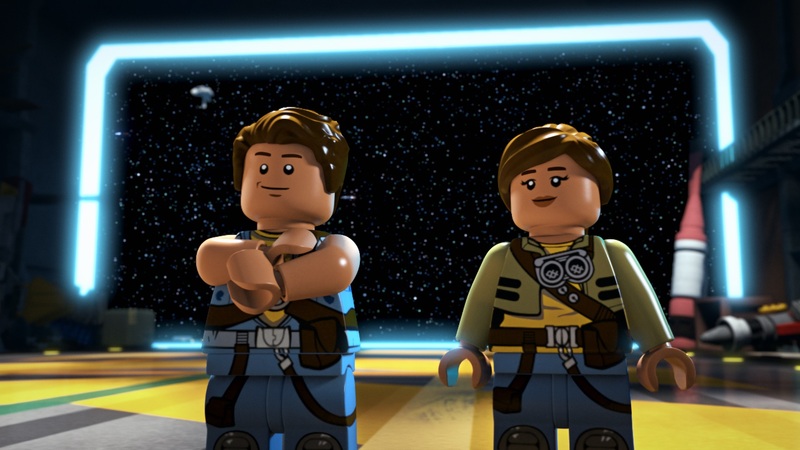 Bob Roth: One of the revelations for us before we started the show, The LEGO Movie showed you can do some really rich, emotional stuff with a minifigure. There were parts that were leaning that way in some of the later Yoda Chronicles and Droid Tales, so it was something that was very much a part of it. Bill Motz: So we’d like to think that when Rowan and Roger are being hung over the pit, that’s a real jeopardy moment. Hopefully you’re laughing at Graballa because he’s a very funny slob, but then when he turns menacing he actually holds some threat. Uglies are a long established idea in the Star Wars universe, were you aware of that when deciding to include them in The Freemaker Adventures? Bill Motz: We thought we were super geniuses, when we were saying they were taking the X-wings and they were slapping ships together — and Leland Chee [of the Lucasfilm Story Group] was like, “Oh yeah, those are called Uglies.” They are also called Z-wings, which fit in perfectly with Zander. Bob Roth: There’s a running a joke, when they refer to the ships they create as Uglies, Zander takes great offense at that. He prefers Z-wings. Bill Motz: Which he thinks stands for Zander-wings — it doesn’t! 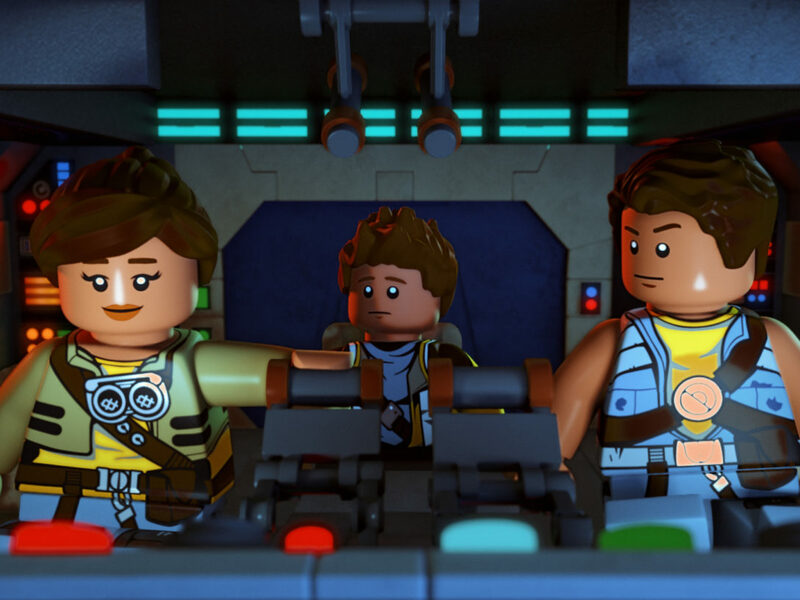 For plenty more from Bill Motz and Bob Roth, as well as the rest of the key creatives behind LEGO Star Wars: The Freemaker Adventures — including Michael Hegner, Eugene Byrd, Vanessa Lengies, Nicolas Cantu, Matthew Wood and Leland Chee — pick up Blocks magazine #22. Alongside a comprehensive behind-the-scenes look at the show, issue 22 includes a series of exclusive Ugly builds, the making of the LEGOLAND Death Star, and build instructions for Star Wars beasts. You can order a Blocks subscription at www.blocksmag.com or a digital copy at http://tinyurl.com/zbdt5gn. Graham Hancock is the deputy editor of Blocks magazine and editor of the LEGO website Brick Fanatics. 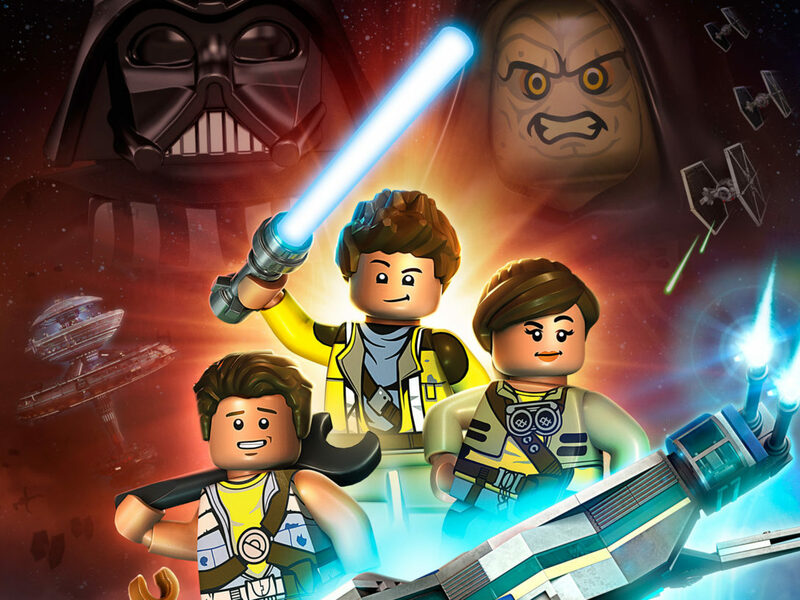 As life-long fan of both LEGO and Star Wars, his wallet has been doomed since the collaboration began. When he isn’t trying to levitate LEGO bricks with the Force, he is at the cinema or traveling. Follow him on Twitter @grahamh_100.